>>The Wrap.com is reporting that Julianne Hough has gotten the lead role in New Line’s Rock Of Ages. Director Adam Shankman says, “She’s the lead, she’s the girl who comes to Los Angeles looking for the dream. We have Tom (Cruise) playing Stacee Jaxx, the biggest rock star in the world and we have Mary J. Blige playing Justice.” Photogenic Hough recently attended a performance of the Broadway musical in Los Angeles with Shankman. Shankman also directed Hough’s 2010 video “Is That So Wrong.” Hough will emcee a special Nashville Ballet performance at Nashville’s Schermerhorn Symphony Center this Saturday (3/5) featuring a troupe of 20 dancers who will perform original choreography while The Band Perry sings “If I Die Young.” Songwriter Pat Alger will also perform. >>Competition in Nashville’s entertainment banking sector will get a bit more heated with the planned arrival of Los-Angeles-based City National Bank which boasts a $1 billion entertainment practice. According to Nashville Business Journal, “The bank’s entry into the Middle Tennessee market also foreshadows wide-reaching possibilities for the region’s multi-billion dollar music industry: optimism for an increase in lending to entertainment businesses and the evolution of niche banking amid industry consolidation.” Reportedly the move is planned to happen this summer. 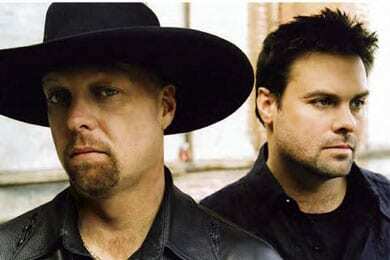 Montgomery Gentry—A couple of Average Joes? >>Nothing is official, but the boys of Montgomery Gentry were spotted working the radio crowd at the Wildhorse last night (3/3) at the Average Joe’s Entertainment label showcase. The former Columbia hitmakers even made an appearance onstage with AJE flagship artist Colt Ford, adding fuel to recent rumors that the hit making duo are now card-carrying Average Joes. If true, this would reunite them with Tom Baldrica— formerly at Sony, but now Average Joes Ent. President . [Update] It’s now official. “We couldn’t be happier to be signing with Shannon [Houchins] and Tom [Baldrica] and the guys at Average Joe’s,” says Eddie Montgomery. “Those guys are cut from the same cloth we are and man, they are so creative. We can’t wait to get this new project out there to our fans!” Troy Gentry adds, “We love the team they have in place and the passion and excitement that they bring.” First single due Spring 2011.